Opt-in pages. Get them right and you’ll be in business. Get them wrong, and your online business will be very quiet. Your email opt-in pages are a crucial player in your online business. They’re the first step in the (hopefully) long and fruitful relationship you’ll build with your prospects and customers. In this inaugural episode of Hit Publish, I’ve invited three Copyblogger experts to share their best advice on building opt-in pages that convert. Pamela Wilson: If you have an online business, you know it’s only as strong as its email list. Email lists help us build an ongoing relationship with our prospects and they keep an open line of communication with our customers. But the way to get people on to our email list, well, that’s what we are going to talk about today. It usually happens on an opt-in page. If your opt-in page doesn’t work, I’m going to venture to say your online business won’t work either. Welcome to Hit Publish, where I cover simple ways to get better results with your online business. This is Pamela Wilson of Copyblogger Media. Each week I bring you answers to your online marketing questions and show you how to build a business that grows your profits. I want to thank you for downloading this podcast and I want to thank Rainmaker.FM for hosting it. Are you ready? 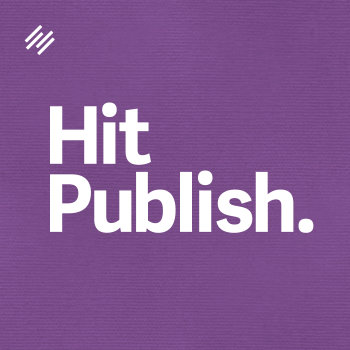 Let’s Hit Publish. Pamela Wilson: We are going to start today’s conversation about opt-in pages with Brian Clark, who is Chief Executive Officer of Copyblogger Media. I wanted to ask Brian about this topic because so much of Copyblogger Media’s success has been dependent on the strength of our email list. I also know that Brian is a big proponent of freely sharing content to help attract prospects and readers, so why ask those people to opt-in to an email list? Why not just give them the information? Brian Clark: Well, there are scenarios where you make content freely available, as long as it eventually gets them to opt-in. So eventually, you do have to have a very, very focused request, or, as we call it in the copywriting circles, a call to action, in which you make a compelling offer for them to give you their email address. And people will do that, but it has to be great value and they have to trust you. So that freely-available content does the job of establishing that initial trust. Once you are asking for them to give you the email address in whatever context, you have to be very focused about that. So if you send people to a subscription landing page, that’s what that page is for. Explain to them the value you are going to give them and why they should opt in. That’s it. No more other stuff, no more distractions, no more, “Oh, go follow me on Twitter instead” because that’s not what you are trying to accomplish. And I see that happen all the time. People are like, “Well, I might lose them, so I have to offer them another choice” and then you lose them, right? So it’s self-defeating. The other thing that I want to briefly mention is that issue of trust with the opt-in, be it an email newsletter or a free ebook. or whatever you are offering in terms of value. People are kind of leery of that. And yet, things have changed with really the mainstreaming of social media, where people would give an email address without even thinking twice about it to register for a different experience. Facebook is essentially a membership site. If you are not registered and logged in, you do not have the same experience. Twitter is the same thing. You need to register to get access to those experiences and that requires your email address and it’s got to be a good email address, so you can get password recovery, notifications, whatever the case may be. It’s no real secret that social networks has some of the biggest email marketers around right now, which is ironic, Pamela, because you heard all the people saying that social is going to kill email. It’s actually the opposite. Brian Clark: So real quick, almost a couple of years ago, we shifted from the opt-in email newsletter approach, to the content library approach. This is very similar in that you have to register, you get a login and a password and you have to provide an email address. But once you do that, your experience at Copyblogger shifts. You get access to a whole bunch of information that the general public doesn’t. and there’s a lot of reasons why we feel this works so well. But let me just tell you what happened. There was a 400% increase in opt ins. Pamela Wilson: That is amazing. Brian Clark: And that is what you try to accomplish. Pamela Wilson: That is not a number that we see every day. Brian Clark: No, there’s actually a case study out there on it by Marketing Sherpa, if you want to look into it more. Pamela Wilson: So what I hear you say is that if we think about giving people a different experience on our websites after they have registered, that’s an approach that goes beyond just asking for an email opt-in? Brian Clark: It is, and it’s really acknowledging the level of comfort that people have online and what behaviors they tend to do — when it involves their email address and the areas that they tend to be shy of. And when you offer that high value and that kind of access, it’s really just a free membership site and there’s a whole bunch of other benefits of getting someone to think of themselves as a member. As opposed to someone who’s just on a list. But maybe that’s a conversation for a future day. Pamela Wilson: I think that’s a great idea. Well, thank you so much Brian. According to Brian, it’s about offering high value in exchange for an email address. I have a lot more on creating effective opt-in pages coming up but first I want to let you know that Hit Publish is brought to you by Authority Rainmaker. A carefully designed, live, educational experience that presents a complete and effective online marketing strategy to help you immediately accelerate your business. Which all sounds great, right? But I want to tell you what it’s really like. I attended this event as an attendee last year, not as a Copyblogger employee. And it was like going to an intensive course in content marketing with some of the smartest, most well-connected people you are ever going to meet. And we are all in it together. It’s one, seamless cohesive experience. We all go from design, to content, to traffic, and finally to conversion. The most important parts of an online business. You’ll get to see how all these parts work together, and you’ll reinforce your knowledge in areas where you need help. I’d love to see you there. If you are ready to get all the details, go to Rainmaker.FM/event. I look forward to seeing you in Denver this May. That’s Rainmaker.FM/event. Pamela Wilson: Let’s keep this going with Tony Clark, who is Chief Operating Officer of Copyblogger Media. 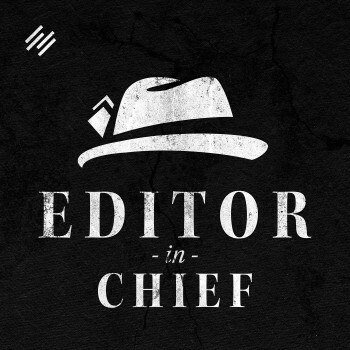 Tony is a founding partner of Copyblogger Media, and he’s not someone we hear from very often. But I happen to know that Tony has an amazing capacity to craft high-converting opt-in pages, and he has been doing it for years. So I asked Tony, what are the most important items every opt-in page must feature? And you know what? He said it’s simpler than you think. Tony Clark: You must have a headline and you must have an opt-in form, and those are really the only two things you must have on every single page. This is one of those things that people get hung up with. They think there is a requirement, there’s sort of this dogma around building a landing page, particularly an opt-in page or a squeeze page, that it has to be this way. What you need to determine is what are the items on that page that you have to have for your audience to give you their email address to opt in to the form? And of course usually that entails the headline, specific copy and then opt-in form. A lot of well-designed landing pages are opt-in pages, and they have a way of spacing out things, so it’s actually the less you put in on an opt-in form, a lot of times it will help it convert better because you don’t have too much clutter on there. Removing your navigation, removing sidebars, keeping everything very focused. So it’s more about putting the right things on there and taking things off, than having to have certain things on there. Pamela Wilson: So Tony is recommending the simpler, the better. Kind of like a minimum viable opt-in page. Pamela Wilson: Today’s final word is from Sonia Simone, who is Chief Content Officer and founding partner of Copyblogger Media. If you have ever read a Copyblogger opt-in page, there’s a really good chance that you read Sonia’s words. Sonia has a real gift for writing these inviting pages that sound like a wise friend is talking to you and inviting you to try this cool thing that she has for you. Her pages don’t sound salesy and they don’t sound pushy, so I wanted to know how she hits that perfect tone. Let’s listen to what Sonia said. Sonia Simone: Yeah, this is always an interesting one because when you are asking for an opt-in on an email list, you are asking for something which is really valuable, which is somebody’s time — which is a lot more valuable than their money. We can always replace money but we can’t replace our time. I think the key to asking for the opt-in is, first and foremost, is you have to get super clear on the benefits that the person will get of opting in to your list. So that means there has to be some. Sonia Simone: There has to be something in the list that will actually do something positive for the reader, or listener, or viewer (if you have got audio content or video content). So my favorite way to handle this is, I like to do what’s called an autoresponder course. Just a little seven-part series of seven quick interesting little tips, that somebody could have to accomplish what it is they want to get out of your topic. And I like that, partly because it’s a pretty easy sell. You can let them know what the little course is going to do for them, what they are going to get out of it, and what benefits they are going to get from it. And that is how most commercial email works, which is why some of the gurus, like the Gary Vaynerchuk kind of people, say that email marketing doesn’t work. I mean email marketing doesn’t work when you basically cajole a customer into giving you their email address, when you buy a sweater at J. Crew and then they send you nothing but ads five times a week, until you unsubscribe. That is limited. Pamela Wilson: Yeah, that technique probably doesn’t work very well! But we are talking about something completely different here. We are talking about offering them value. And it’s interesting to me that you said autoresponder, because that’s offering value over time, which is also really important because you are developing a relationship that happens over time, right? Sonia Simone: Yeah. There’s a couple of things I really like about that tool and an autoresponder, for people who haven’t run into them yet, is just a feature of your email service, where they will send somebody a drip, which it’s often called, of emails on a schedule. So the first day they get message one, and then maybe a week later they get message two. You can set it up however you want. There’s a couple of nice things about it. One, you can really put a little bit of blood, sweat and tears into that content because it’s going to be reused. My autoresponder is still going back on my old blog. It’s been going for years. I haven’t touched it. Pamela Wilson: I have one that’s five years old and every once in a while, I’ll go in and update and just refresh it, but it’s like “the little content that could.” You know, it keeps chugging along in the background. Sonia Simone: Exactly. It keeps doing it’s thing. Mine keeps selling things because one of the messages has an affiliate link to sign up for AWeber because I like that. I think they are a good email service. I have always liked them. So I had a little affiliate link. You know, “If you like AWeber too, you should sign up with my link and I’ll get a couple of dollars.” And I still get checks. I get checks every month from this funny little thing. I love that about it. You do it once, and you really try and do a good job and then it’s good to go back and look at it again. You shouldn’t leave it for years without looking at it, like I have, but you could! So that’s the first thing that I like. The other thing I like about it is, it really gets people in the habit of opening your emails and reading something good. They get an email from you, they read something good. They get email from you a second time, they read something good. It creates a really good environment of trust and benefit and it lets people know that you know how to help them. I think it’s a really nifty tool and it’s one I recommend for almost anybody. Pamela Wilson: So it sounds like a lot of “not feeling pushy about asking for the opt-in” is just having real confidence in what you have created, and what you are going to be offering in exchange for that opt-in. Sonia Simone: Yeah. And my favorite formula for this is actually an old sales letter formula but it works really well for people who are a little bit nervous about asking for the sale. I think for most of us, even if we feel a little nervous (and I do, I’m not a sales person, I’m very nervous about selling), instead of it feeling like selling, it just feels like letting people know what you do, let them know how it’s going to help them, and let them know what to do next. That just feels less scary and so I find it’s a really good formula. Pamela Wilson: I noticed a really interesting thread between these responses, did you? They all kind of come back to this idea of offering great value in exchange for that email address you’re asking for. Brian said to focus on high value to help to build trust. And Tony backed that idea up and said, we need to get out of our own way, and make sure our offer is crystal clear on our opt-in pages. And Sonia reminded us to prove our value over time, with an autoresponder, so people associate our emails with reliable, high-quality information. What will you do this week to improve the opt-in page on your website? How can you offer amazing value? How will you focus your readers on your offer? How will you deliver great information over time? This is Pamela Wilson. I want to thank you for being one of the great-looking followers of the Hit Publish podcast. Take a look at the show notes for more information on today’s topic, and if you liked what you heard, take a moment and give Hit Publish some love on iTunes, so that other people can find it. Until next time, take action and Hit Publish!